Everyone, whether they’ll admit it or not, wants drones to go off and do their biddings for them. While this dream is not so far off from becoming a reality, the creation and formation of these drones must come first. Easy Aerial, the drone design company is planning on doing just that. Focusing on personal and commercial use, this product is made strong yet is easily taken apart. Adaptable for hundreds of uses, today we chat with the team as they take us through their startup and explain to us how the future will look. 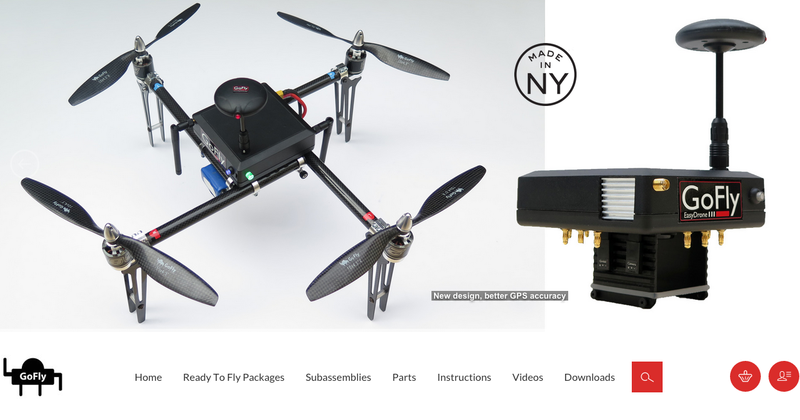 Easy Aerial is an up and coming modular drone design company. Our signature product is the Easy Drone – a uniquely modular, autonomous, unmanned aerial system for personal and commercial use. Easy Drone’s frame is made from carbon fiber and aluminum and is extremely rigid, yet it can be taken apart completely without tools and carried in a small backpack. Because of the modular design it is very convenient for transportation. Easy drone has the largest frame size relative to travel pack, flight time and lift capacity on the market and it is applicable to many industries. We are looking to move into the commercial drone application space and offer turn-key solutions for different industries by partnering with companies that provide data processing like NDVI images, mapping, 3D modeling, etc. Most attractive industries for us are agriculture, first responders and professional videography. They are predicted to reach combined over $80 billion in the next decade with agriculture alone accounting for 85% of that. We will be selling custom hardware packages bundled with appropriate software offering to close the loop and offer turn-key solutions for these three industries. Our focus is on ease of use and the experience; and technology is only there to enable that. Easy Aerial already built a bit of a name for ourselves with the consumer version of Easy Drone that did really well on Kickstarter. However, we realized that a great tool like this could be utilized in a commercial setting to solve some of the big issues that we care about like food production optimization, keeping people out of harm’s way and affordable aerial cinematography. We are currently enrolled in the Founder Institute program here in New York flushing out the best business plan with some amazing mentors. We are expected to graduate in October and focus on finding the right match in the VC community that will allow us to fund future growth, but also be able to open some doors for us. I would love to get in touch with the Commissioner for New York City Department of Parks and Recreation so I can get access to North Brother Island on East River. It would be amazing to make some aerial footage of the forbidden place that has been decaying for the past 50 years without human interruption. For the past 12 years I happen to be living in the best, most diverse city in the country that gave me the energy and the opportunity to start a few businesses so far. It was an easy decision to stay close to home and all the action. It is called KAFANA – an ethnic Serbian restaurant on E 8th and Avenue C.